FORT LAUDERDALE, Florida -- At least four of the five people killed in the Fort Lauderdale airport shooting were on vacation, headed for cruises that promised sun, sand and fun. They were collecting their luggage when a gunman opened fired in the baggage claim area of Terminal 2 at the airport - a hub for cruisers headed to Port Everglades. An official list of victims had not been released by Saturday afternoon. But family and friends of some of the victims confirmed the identities and shared their stories. Tragedy struck an Ohio family when Shirley Timmons was slain and her husband critically injured during the airport attack. The couple had flown to Fort Lauderdale on Friday to join the rest of their family for a cruise, WILE-FM (http://bit.ly/2iODNWI) reported. 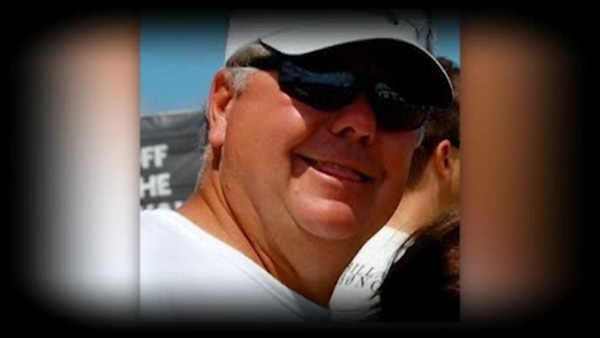 Timmons' grandson Steve Reineccius confirmed over Facebook that his grandmother was one of the victims and that his grandfather Steve Timmons was wounded. They were both 70 years old. Timmons was shot in the head and underwent emergency surgery at a Fort Lauderdale hospital, where he's in critical condition, the station reported. Terry Andres and his wife, Ann, flew to Fort Lauderdale for a Caribbean cruise, one of many they'd taken together over the years. Because they loved to travel, they'd booked a second trip immediately following the cruise, a week in Cancun, Mexico. The night before they left their Virginia Beach home, the couple offered their generator to neighbors as a snowstorm bore down on the region. After hearing about the shooting, friend Jessica Winbauer texted the couple. "She texted me back about an hour and a half later saying 'Please call me," Jessica Winbauer told The Associated Press, holding back tears. That's when Ann Andres broke the news: her husband was one of the five victims. "She was alone sitting in a car where they had shuffled her, I guess," Winbauer said. "It was horrible." Terry Andres' death shocked the close-knit community just blocks from the Atlantic Ocean. Neighbors visited with one another to share the news or made the rare phone call to fill-in people who had moved away. "It's like a commune back here," said Winbauer, whose son is the Andres' godchild. "Everyone has keys to everybody's house. Everyone is connected." They couple would have celebrated their birthdays during the two-week trip. Parishioners at the Catholic Church of the Transfiguration in Cobb County, Georgia, remember Olga Woltering as "the life of the party." "She was always a bright spirit," Ron Schaefer said. "We'd see her at church, and it was always a pleasure to see her smiling face and say hello to her." On Saturday, those same church members who recalled the octogenarian's bright smile circulated news of her death. Parishioners said she was in her 80s, but no exact age was given. She and her husband had been an active part of their congregation since 1978. At Saturday evening's Mass, Father Fernando Molina-Restrepo spoke of evil, saying there are some people walking in darkness, "bringing pain and clouds of sadness into our world." "We saw an example of this yesterday at the Fort Lauderdale airport," he said. Woltering and her husband flew to Fort Lauderdale for a cruise, parishioners said. Friends said she was originally from England. Ralph Woltering had served in the U.S. Air Force, parishioner Alvin Connolly said. "From what I understand, their sons are in Florida with her husband right now," Connolly said. The couple lived in a retirement community. "She and her husband were kind of the life of the party," Connolly said. "They'd go to a dance, and they'd be the last ones on the floor. "You look at them and say 'Man I hope I can do everything they do when I'm that age,'" Connolly said. Woltering was active in the ladies auxiliary of the Knights of Columbus, a Catholic charity affiliated with her church, said Roger Heil, the grand knight of the local Knights of Columbus group. Her husband was involved in the Knights of Columbus, he said. Michael Oehme was a frequent traveler who loved to cruise with his wife, and the couple was about to head out to sea again, his sister told The Associated Press on Saturday. "They were supposed to leave today," Elizabeth Oehme-Miller, 52, said by phone from Council Bluffs, Iowa, also the couple's hometown. "They were happy to be going on another trip." Oehme, 57, was a land surveyor and owned his own business, Boundaryline Surveys, his sister said. His wife, Kari Oehme, is hospitalized with injuries from a gunshot wound to the shoulder and is expected to recover, her sister-in-law said. Kari Oehme is a clerical worker at a local office, Oehme-Miller said. She said she learned that the couple was at the airport during the shooting through a text message from her daughter. "I still can't believe it's true," Oehme-Miller said. "It hasn't hit yet. I'm kind of in shock right now."